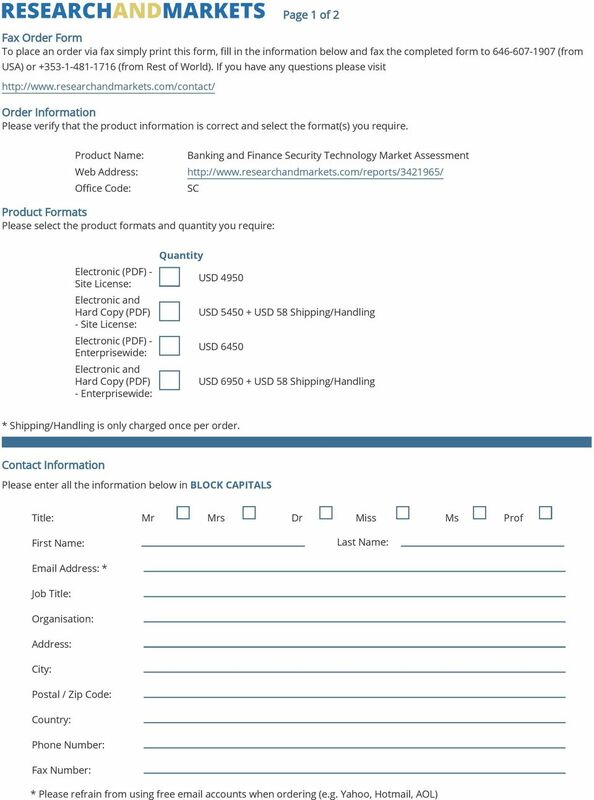 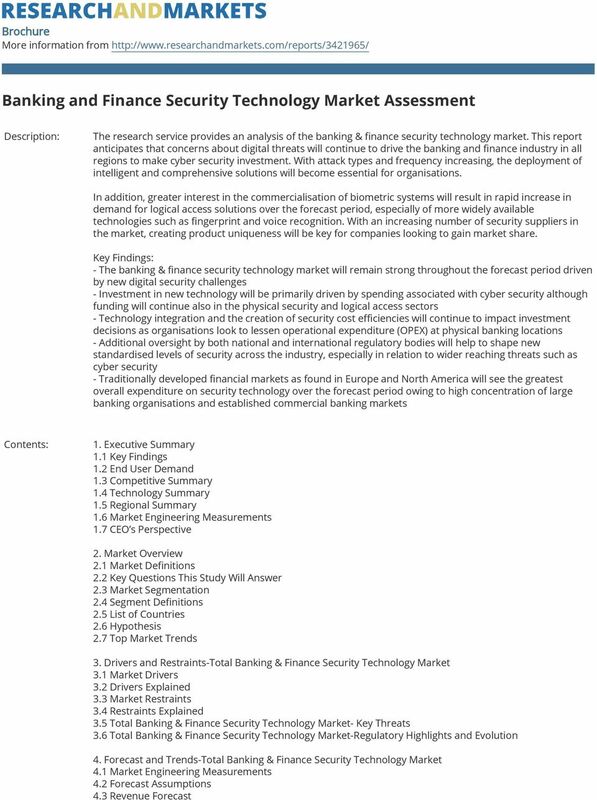 Download "Banking and Finance Security Technology Market Assessment"
3 14.1 Latin America Key Findings 14.2 Latin America-Revenue Forecast by Segment 14.3 Latin America-Revenue Forecast Discussion by Segment 14.4 Latin America-Market Environment 15. 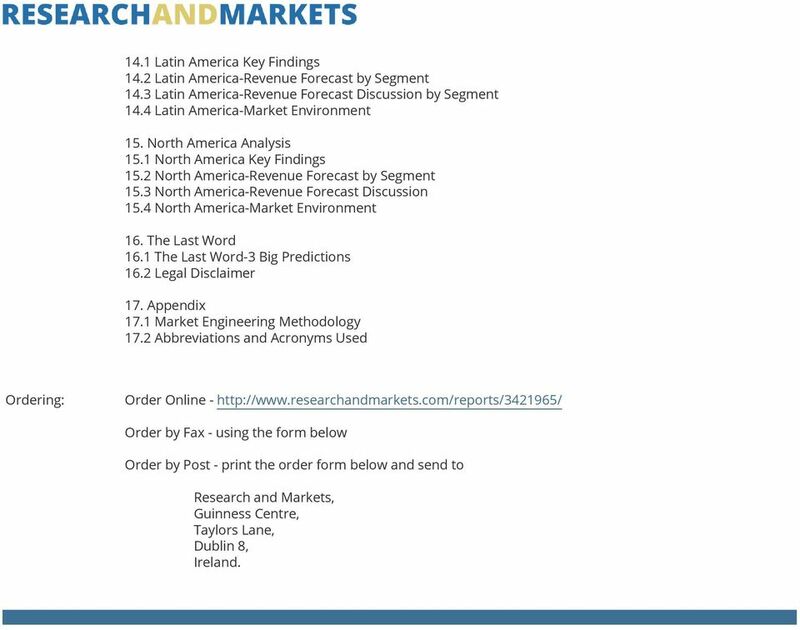 North America Analysis 15.1 North America Key Findings 15.2 North America-Revenue Forecast by Segment 15.3 North America-Revenue Forecast Discussion 15.4 North America-Market Environment 16. 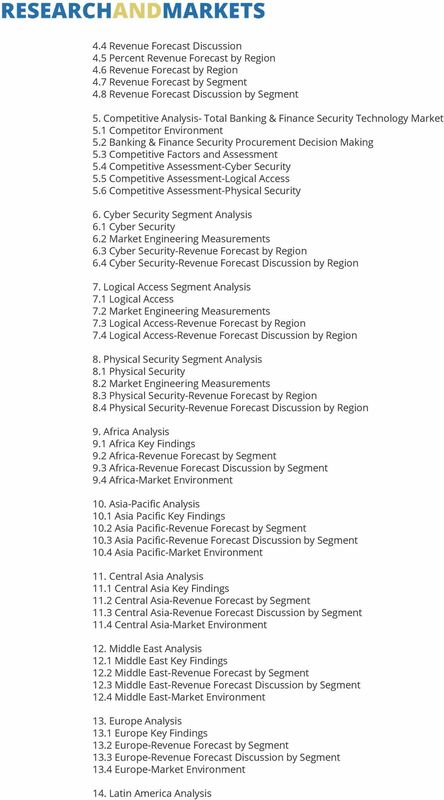 The Last Word 16.1 The Last Word-3 Big Predictions 16.2 Legal Disclaimer 17. 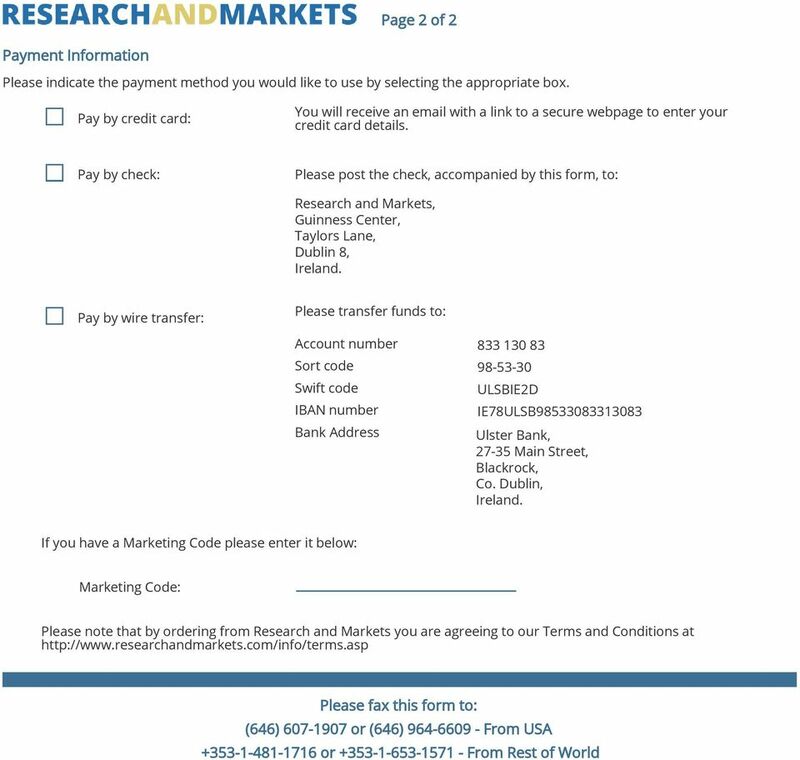 Appendix 17.1 Market Engineering Methodology 17.2 Abbreviations and Acronyms Used Ordering: Order Online - Order by Fax - using the form below Order by Post - print the order form below and send to Research and Markets, Guinness Centre, Taylors Lane, Dublin 8, Ireland.